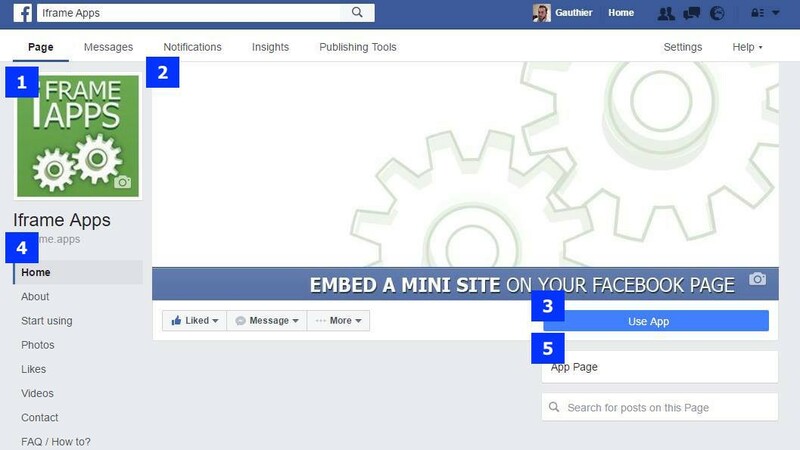 Modify the preview of a link on facebook… useful for affiliate links! First of all sorry for my poor english, i’m french! At the end of June, Facebook announced to the community managers that starting July 18th we could no longer change the overview of shared links on the social network. Since then, Facebook has partially reversed its decision by allowing the media to modify the preview of links from their own sites. If you are not among the lucky ones, you can not change the title, image, and description of shared links on Facebook anymore – or soon you will not be able to – unless you use Pretty Links, a new tool Free to modify the preview of links on Facebook. To use Pretty Links, you do not need to register: just paste the link you want to share on Facebook. The tool then retrieves the Open Graph data from the source code of the web page, as shown in the screenshot above. As you can see, you can change the displayed title, description and URL of the image. 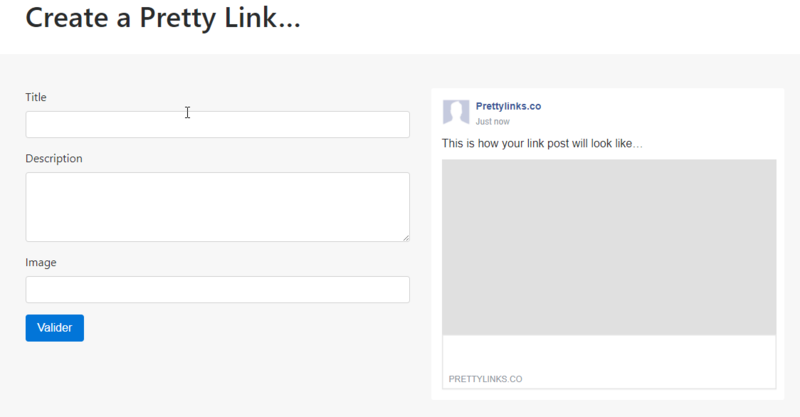 Then click “Validate”: you get a shortcut link (prettylinks.co) that you just have to share on Facebook. The principle is simple: Pretty Links creates an intermediate page of redirection with the Open Graph information of your choice. It is this URL that Facebook analyzes to display the title, image and description of your link on the social network. When a user clicks on the Facebook link, it is redirected to the URL of your choice (redirect 301). You can test the URL shortened by Pretty Links on the Facebook Debugger to verify that everything works If you want to change the title, image and description of a Facebook link, this tool can satisfy you. But if it’s your own site, we recommend that you validate your site through the Publishing Tools (if you are a media) and make sure that the Open Graph tags of your sites are optimized. Next post Polls are back on facebook pages! Iframe Apps provides more than three million brands with the most powerful and forward-thinking apps to help them engage, grow and thrive. We rely on the same tools that people pay us for to ensure that the products we create are always at the forefront of innovative marketing tactics. Copyright © 2018 Atayen, Inc. All Rights Reserved.